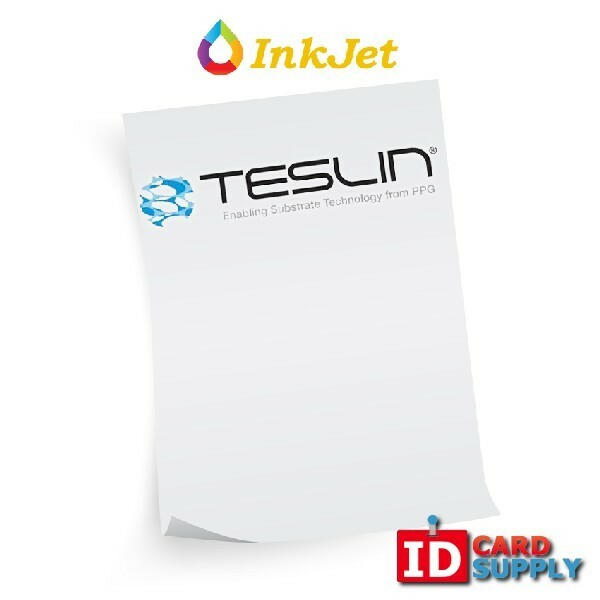 Full Sheet of Teslin® Synthetic Paper for Inkjet Printing | Order Today from IDCardSupply! We are now proudly offering Teslin® synthetic paper for Inkjet printers that are waterproof, and come in a full sheet (10 mil size). IDCardSupply.com offers this water proof and abrasion resistant paper to you at prices that are lower than the competition. This full sheet of paper will allow you to create ID cards that are sized exactly how you want them to be.